preening blowhards and pompous asses. This artistically named peak balances on the ridge between Booth Creek and Pitkin Creek, and you can climb it from either drainage as a day trip. Easy by Gore Range standards, the steep-sided peak is still aptly armed. Like most peaks that nestle near giants, Outpost provides pervasive views. 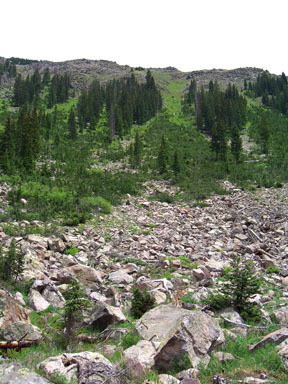 This is the most expedient route up “Outpost Peak.” Start at the Booth Creek Trailhead at 8,420 feet, and hike north up the excellent Booth Creek Trail. 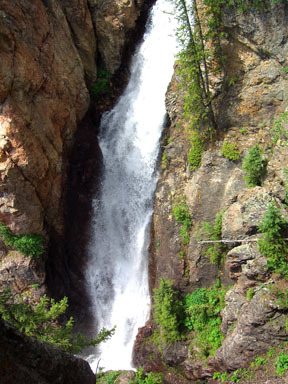 Enter the Eagles Nest Wilderness shortly after leaving the trailhead, cross a side creek after 1.1 miles, and reach Booth Creek Falls after 1.8 miles, where you can take a few strides west from the trail to see the falls. 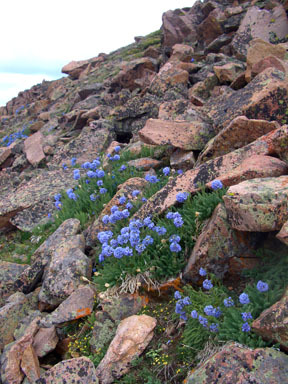 Continue north up the trail, and reach an open meadow at 10,300 feet, 2.6 miles from the trailhead. 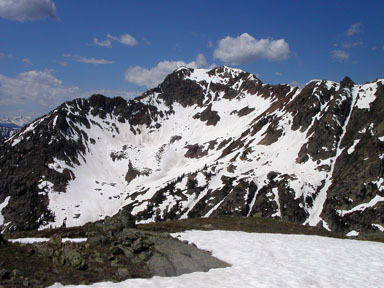 Leave the trail where it crosses a miniscule saddle between a bump to the west and the steep, soaring west face of “Outpost Peak” to the east. Climb east up a steepening, grassy avalanche path through dwindling trees, and reach much gentler slopes at 11,300 feet on the southwest ridge of “Outpost Peak.” Turn northeast (left) and stroll up an undulating, sanguine half-mile to the summit. 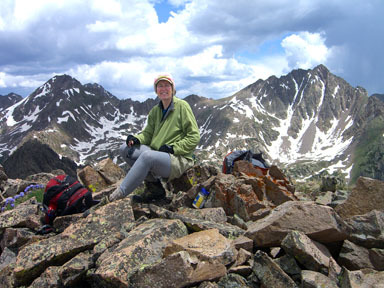 If the weather is fine, you can spend a long time on this summit identifying Gore Range summits. You can also see Mount of the Holy Cross to the southwest. 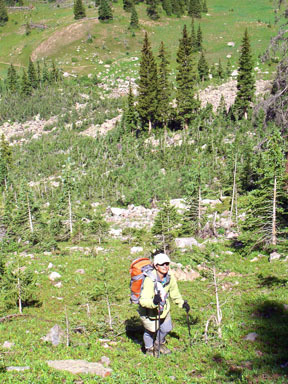 If the avalanche slope is too steep for your comfort, hike up slopes farther to the south.